Soweto giants Orlando Pirates will arrive in Zimbabwe for their African Champions League Group B match at Barbourfields Stadium against FC Platinum on Saturday buoyed by a fine run of form. The Sea Robbers are unbeaten in their last five games in all competitions winning three and drawing two. In the Absa Premier League, the Ghosts have won two of their last three matches to cement their second place position and keep up pressure on log leaders Bidvest Wits. At the weekend, Pirates had to come from behind to salvage a 2-2 draw away to fellow Gauteng side Highlands Park. Zimbabwe international Kuda Mahachi is beginning to find his feet at Mayfair and came off the bench to score an 81st minute equaliser against Highlands Park. 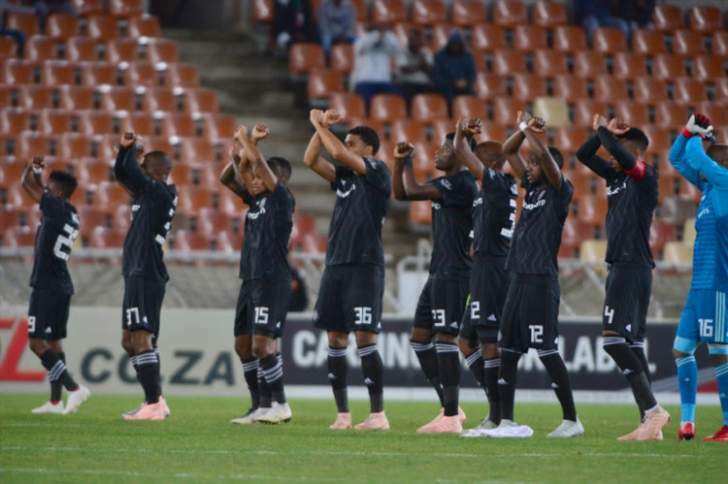 On Tuesday night, the Sea Robbers were back at their home ground at Orlando Stadium where they dispatched struggling Cape Town side Chippa United 4-2. Another Warriors international Marshall Munetsi started the match and played for all 90 minutes after serving a one-match suspension. Mahachi was introduced in the 83rd minute to replace Zambian Augustine Mulenga and just like in the draw with Highlands Park, he did not waste much time in impacting the game. The former Chicken Inn and Highlanders winger scored with his first touch of the game a minute later — a sublime finish from close range to help the Sea Robbers seal a 4-2 win. This was Mahachi's second goal in as many matches and is likely to boost his morale ahead of the trip to his former stamping ground to face Pure Platinum Play. Speaking after the win, Pirates coach Micho Sredojevich was, however, not pleased with the way his team defended set-pieces against Chippa but applauded the impact Mahachi and fellow substitute Musa Nyatama made on the game after coming on. "Matches like these ones are the hardest because you know you are expected to get the three points but subconsciously you underrate the opponent and put yourself on the back foot," said Sredojevich. "We had a good start with an early goal but we dropped back after that and it caused us to concede an equalising goal. We went back to a high gear after that and were leading at halftime. "We agreed at the break we would defend by possessing the ball and we would close the gaps between the lines. "We also wanted to be more effective going forward and once we got the third goal, we thought that we would be able to finish the game off in a peaceful way but we conceded a set piece, scored an own goal and lost our heads. "We were shaky after that but we brought two subs who secured the result for us." While Pirates have been active in recent weeks, FC Platinum could suffer the consequences of the domestic league's failure to align their calendar with the rest of Africa. Most African leagues now run between August and May while Zimbabwe's football calendar runs from March to December. The Premier Soccer League had proposed to adopt the August-May calendar as recommended by the Confederation of African Football (Caf) but the move was shot down at the Zifa Annual General Meeting last year. Pure Platinum Play's last competitive match was in the African Champions League final qualifier second leg against AS Otoho of Congo three weeks ago. Since then, Norman Mapeza's side has gone on a festive season break before they regrouped last week. Pure Platinum Play also lost their home advantage after Caf ruled that Mandava Stadium could not host Champions League matches. This forced the Zimbabwean champions to opt for Barbourfields some 180km away from their home turf.